Dieser umfassende Reiseführer enthält viele praktische Tipps für Routen, Unterkünfte und Verpflegung, um die Slowakei auf eigene Faust erkunden zu können. Detaillierte Beschreibungen von Wanderwegen, Sport- und Freizeitangeboten sowie Sehenswürdigkeiten dienen als Grundlage für eine individuelle Auswahl von Reisezielen in dem touristisch noch wenig erschlossenen Land. Lavishly illustrated in full colour, this book features 14 irresistible self-guided walks and tours, written by a local expert and packed with great insider tips. Whether you are new to the country or a repeat visitor, whatever your interests, and however long your stay, this book is the perfect companion, showing you the smartest way to link the sights and taking you beyond the beaten tourist track. All the walks and tours come with clear, easy-to-follow full-colour maps and hand-picked places to eat and drink en route. A 'Key Facts' box at the start of each tour highlights the recommended time needed to enjoy it to the full. The book also recommends top tours by theme and includes a special 'Only in' feature, highlighting a number of experiences or attractions that are unique to the destination. In addition, it has background information on food, drink and shopping, plus a Directory section with a clearly organised A-Z list of practical information and hotel and restaurant listings to suit all budgets. The guide also comes with a free pull-out map, complete with street index and with the walks and tours clearly marked. Lucy Mallows is a freelance travel writer and translator presently working in Brussels. She contributes to many international dailies and magazines and has written for all the top travel publishers on countries from Estonia to Portugal. She is an expert on Central Europe, having studied Russian, Czech and Spanish at university before living and working in Budapest for 12 years. She speaks six foreign languages, including Slovak. She first visited Slovakia in 1982 and returns regularly. She is the author of Bradt's Bratislava and Transylvania guides. Wanderer und Naturfreunde handeln die Slowakei schon lange als Geheimtip. Aber neben intakter Natur und der Hohen Tatra bietet die Slowakei auch für Kulturtouristen eine Fülle von lohnenswerten Zielen: zahlreiche Schlösser und Burgen, Holzkirchen und Architekturmuseen.Dieser Reiseführer stellt das Land, seine Geschichte sowie seine Sehenswürdigkeiten ausführlich vor. Neben traditionellen Attraktionen wie Bratislava, den Kurbädern und alten Bergbaustädten werden alle für Touristen interessanten Orte vorgestellt. Zahlreiche Wandervorschläge laden ein, die vielfältigen Landschaften kennenzulernen, mehrere Extra-Kapitel stellen die grenznahen Sehenswürdigkeiten der Nachbarländer vor. Slowakije is sinds het lid van de EU (2004) en euroland (sinds 2009) is geworden rap aan het moderniseren. Toch heeft het als modern westers land nog iets romantisch. Een bezoek aan de schilderachtige historische stadjes met monumenten, kerken en burchten laat je zien dat de tijd er lijkt stil te hebben gestaan. Men noemt de hoofdstad van Slowakije, Bratislava, ook wel de 'Parel aan de Donau'. Het stadscentrum met oude straatjes en veel groen is een van de mooiste kleine Europese steden. Abram Muller laat zien dat niet alleen in Bratislava veel te beleven is, ook daar buiten heeft Slowakije veel te bieden. Skiën in de Lage Tatra, wandelen in de hooggebergten, fietsen langs de Donau en culturele evenementen. Het landschap en het milde klimaat maken het tot een perfecte bestemming voor het hele jaar door. Dankzij de praktische informatie achterin, de kaarten en plattegronden en niet te vergeten de mooie kleurenfoto's is dit een zeer complete Dominicusreisgids. This new edition of the Bradt guide to Bratislava by expert author Lucy Mallows remains the most authoritative and reliable guide available to the city that combines history with hedonism like no other. Bradt's Bratislava is by far the most comprehensive and entertaining guide on the market - in any language. Maps, walking tours, historical perspectives and hotels, restaurants, cafes and pubs are all covered. In addition, it features detailed information on shopping, sports, gardens and parks that you'll find in no other book. Not only does it include out-of-town ideas, but it goes into greater depth than other guides and is written in an engaging and colourful style that sets out very deliberately to entertain as well as inform. This third edition is thoroughly updated to include the vast number of new boutique hotels, restaurants, bars and cafés. It also offers a useful transport map and guidance on city transport and an updated event calendar. Straying out of the city itself, it also covers Kosice, 2013 European City of Culture. 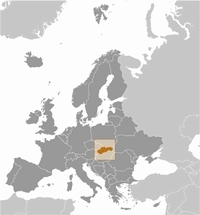 Jahrhundertelang wurde Bratislava von Ungarn, Slowaken und Deutschen geprägt. 250 Jahre lang wurden hier die ungarischen Könige gekrönt; seit 1993 ist Bratislava die Hauptstadt der Slowakei. Diese wechselvolle und glanzvolle Geschichte zeigt sich dem Besucher in der Fülle von Sehenswürdigkeiten. Das Zentrum wird unter anderem von zahlreichen prächtigen Barockpalais geprägt, die der Stadt ihr einzigartiges Flair verleihen. Dieser Reiseführer stellt die Stadt und ihr Umland kenntnisreich vor, erläutert ihre spannende Geschichte und bietet viele reisepraktische Tips für Kultur- und Aktivurlauber. The Tatras are blessed with a dense network of well-maintained and waymarked walking routes – some 600km altogether. Some short stretches of routes, described in this book as ‘airy’ or ‘exposed’ are protected with fixed chains, or sometimes wires of about 2cm. Apart from the chains and wires, some routes involve short, steep stretches of scrambling which are clearly marked in this book. Colin Saunders and Renáta Nárožná, who was born and bred in the area, together provide a detailed insight into the possibilities for walking at all levels from easy through moderate to strenuous. Dieser Rother Wanderführer stellt dem gemäßigten Wanderer, aber auch dem erfahrenen Bergsteiger 50 Touren in diesem wilden Gebirgsland vor. Alle Wanderrouten werden ausführlich und detailliert beschrieben, sodass sich jedermann leicht zurechtfinden wird. Sie finden eine reichhaltige Tourenauswahl vor: vom einfachen Spaziergang am Fuß der großen Felsberge, über beschauliche Seenwanderungen, bis hin zu schwierigeren und anstrengenderen Gipfeltouren, bei denen man schon einmal Hand an den Fels legen muss. Die Touren führen in den slowakischen Teil der Hohen Tatra sowie in das polnische Gebiet um den traditionsreichen Ferienort Zakopane. Ein Tourensteckbrief, Wanderkärtchen im Maßstab 1:50.000 und 1:75.000 mit eingetragenem Routenverlauf, eine detaillierte Wegbeschreibung zu jeder der 50 vorgeschlagenen Touren sowie eine Übersichtskarte erleichtern dem Wanderer sowohl die Planung als auch die Durchführung seiner Exkursionen.